Emperor Aurangzeb was considered as the last great Mughal Emperor who extended the Empire over nearly all the Indian subcontinent. He was born in 1618 and ruled for 49 years. He brought to his rule a strict Islamic law called Fatawa-e-Alamgiri. It was said that he imposed a ban on music but it seems that not completely. Long ago at the time of Aurangzeb rule, he banned the playing of a musical instrument called pungi in the royal residence. It had a shrill unpleasant sound. Pungi became the generic name for reeded noisemakers. Few had thought that it would one day be revived. A barber of a family of professional musicians, who had access to the royal palace, decided to improve the tonal quality of the pungi. He chose a pipe with a natural hollow stem that was longer and broader than the pungi, and made seven holes on the body of the pipe. When he played on it, closing and opening some of these holes, soft and melodious sounds were produced. He went to the palace and played the instrument before royalty. Everyone was impressed. The instrument so different from the pungi had to be given a new name. Since it was first played in the Shah’s chambers and was played by a nai (barber), the instrument was named the ‘shehnai’. The sound of the shehnai began to be considered auspicious. And for this reason it is still played in temples and is an indispensable component of any North Indian wedding. In the past, the shehnai was part of the naubat or traditional ensemble of nine instruments found at royal courts. Now it is played also on a classical stage. Also called ‘been’. It is a wind instrument played by snake charmers. 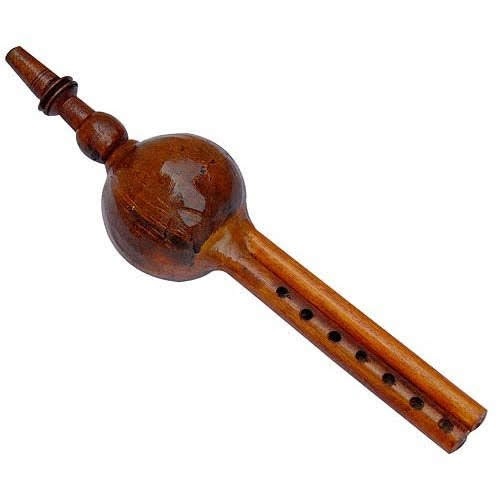 Pungi is made of a mouth-blown air reservoir made from a gourd, which channels air into two reedpipes. The reed portion has often eight holes but sometimes it has an extra hole in right pipe. One pipe is for playing a hum and second for creating melody. It is similar to the oboe. 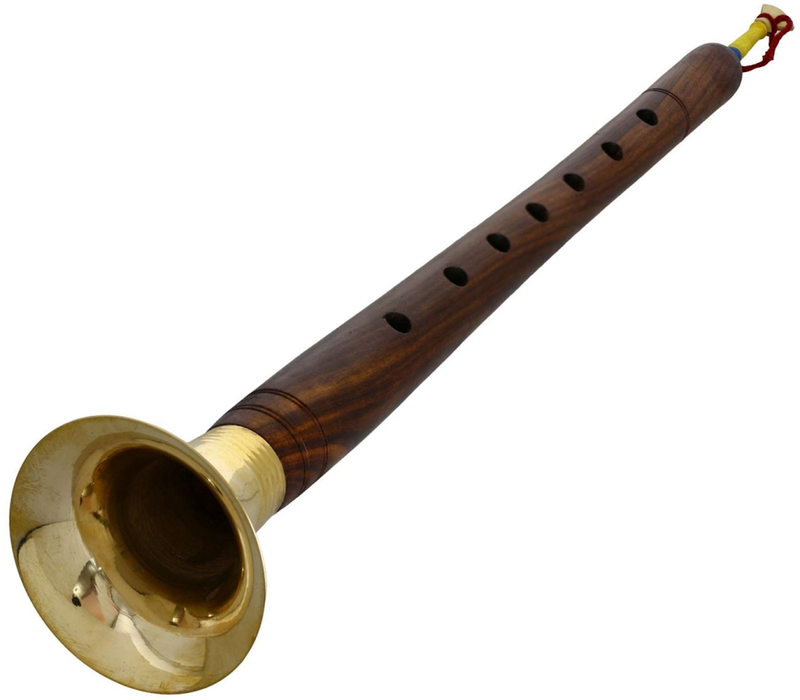 It is made out of wood, with a double reed at one end and a metal or wooden flared bell at the other end. It usually has between six and nine holes. There is another theory of the origin of the shehnai that says that the name is a modification of the word “sur-nal”. The word ‘nal’ is used in many Indian languages meaning pipe or reed. The word “sur” means tone or tune—musical note or simply music—and is used as a prefix to the names of many Indian instruments.